Interested in robots? Want to know what makes a computer work? 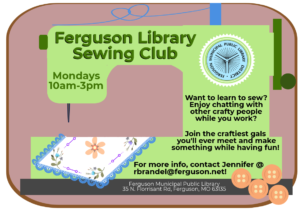 Learn how at our Robotics and Coding Class for Kids at the Ferguson Public Library! Learn robotics with the help of a Lego robot, and then learn how to code your own computer programs in our 16-week course. Thursday class is for kids in elementary grades only.